We have a wide range of pedal power equipment available to hire for your event. 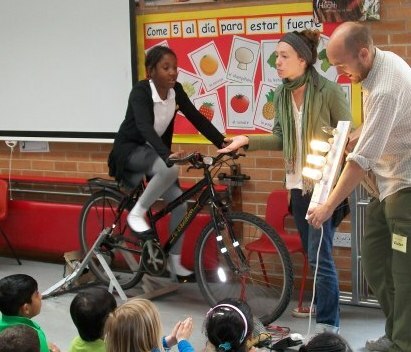 This includes energy bikes, Scalextric systems, sound-systems, smoothie-makers and bubble machines. Please click here for the items we can hire or contact us to discuss further. A pedal powered Scalextric is a great activity for your event. 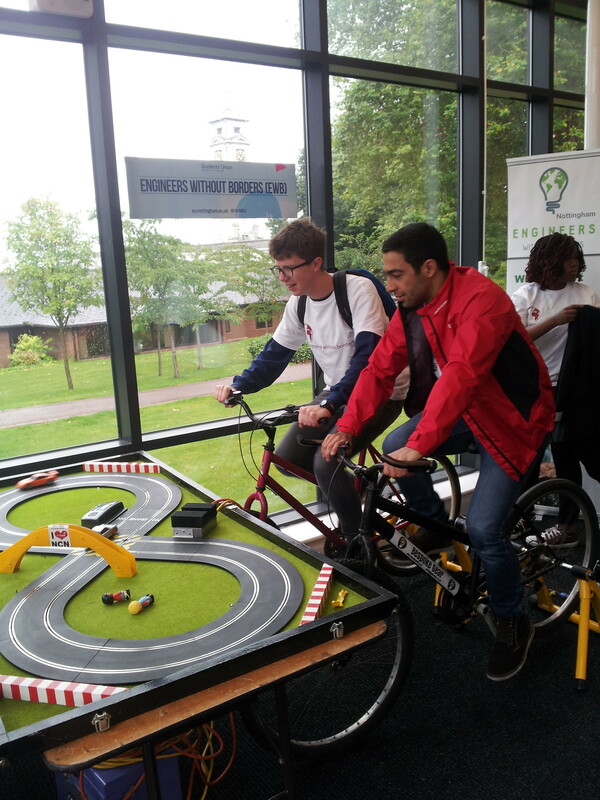 Our system is a 2-bike two lane figure-8 Scalextric track. 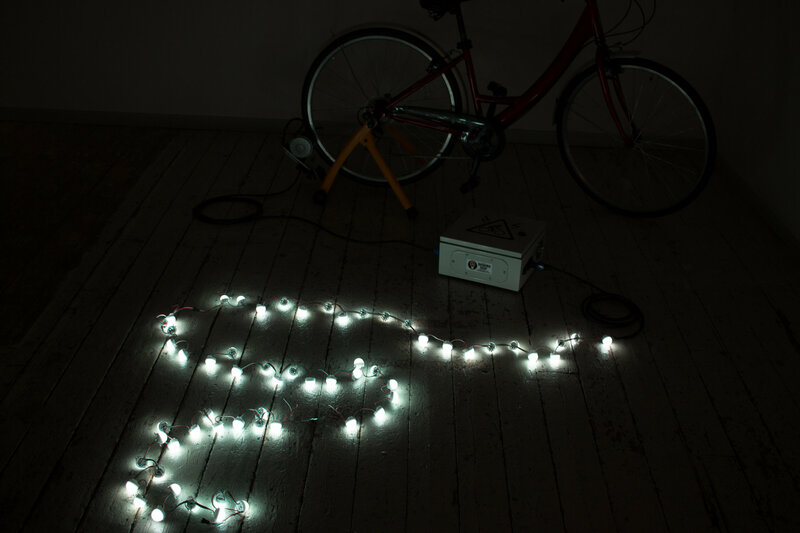 Here are some photos of our pedal powered fairy lights. This unit can take one or two pedal generators and powers strings of LED lights, 5m or more. 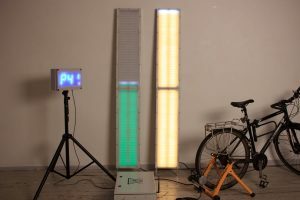 The unit stores the energy from the cyclist in an ultra-capacitor and, when the capacitor is full, it runs the LED lights with a randomly chosen effect. 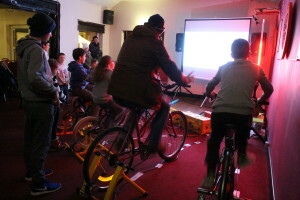 We can provide 4, 6, 8 and 12-bike cinema systems. 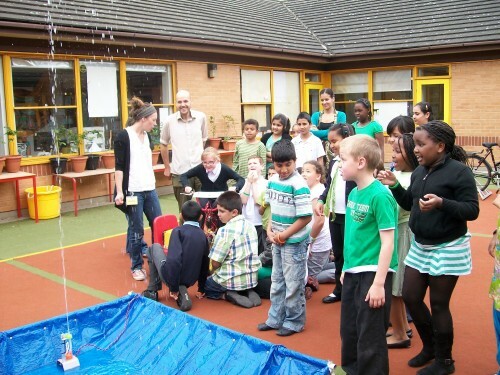 Great for the summer – a pedal powered water fountain! This simple idea is always a hit with the younger folk. Knock down the environmentally themed targets using pedal power! 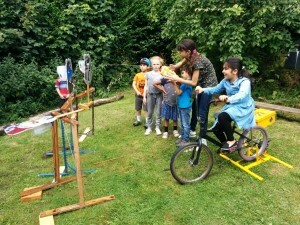 We can provide a pedal-powered smoothie bikes for your event. 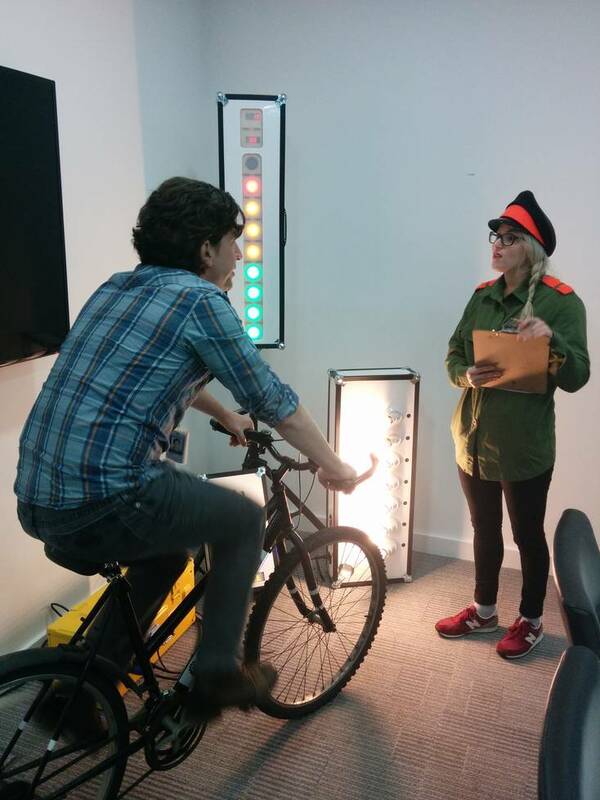 Cycling for refreshment is a great activity for your event. It links healthy eating with healthy activity.